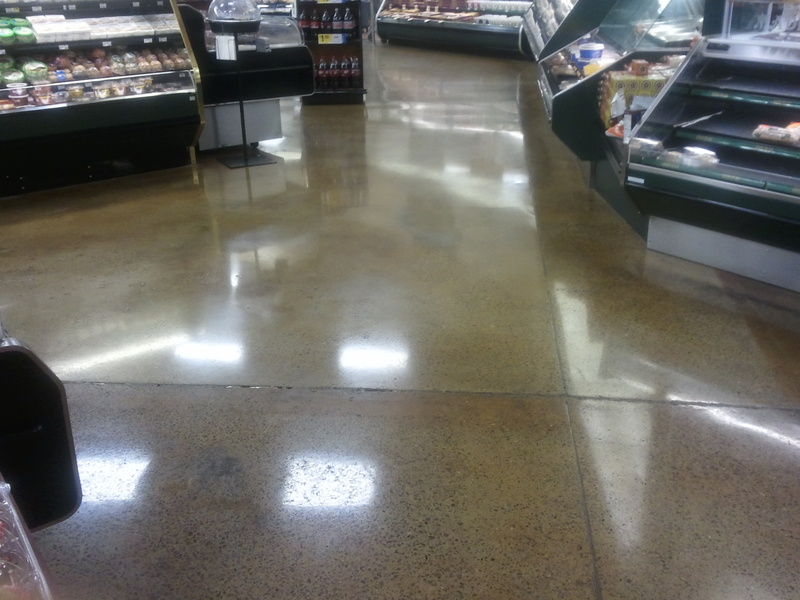 Polished concrete is produced by a process through which a series of mechanically ground “polishing/grinding” steps similar to the production of terrazzo flooring. This process includes the use of a chemical known as a densifier. The densifier/hardener is applied to the ground substrate and penetrates the concrete and creates a chemical reaction to help harden and dust-proof the surface. During concrete polishing the surface is processed through a series of steps (in general a minimum of 6 grinding steps of processing is considered polished concrete) utilizing progressively finer grinding tools.